There was not only one Cleopatra. I bet you didn't know that, because I didn't. There were in fact 7. The first 6 we never heard of because Egyptians didn't rule Egypt during their lifetimes. Guess who did. The Greeks. Cleopatra Ptolemy was not, in fact, Egyptian either she was a Macedonian Greek. She was the first member of her tribe to learn to speak Egyptian and the first Egyptian ruler in 300 years to speak Egyptian. As Egypt does, things get pretty interesting. Cleopatra's dad was believed to have killed the mother, made her the queen and then when he died, she was forced to marry her 10-year-old brother to retain the throne. I am telling you those ancient Egyptians were pretty crazy, by any bodies standards. 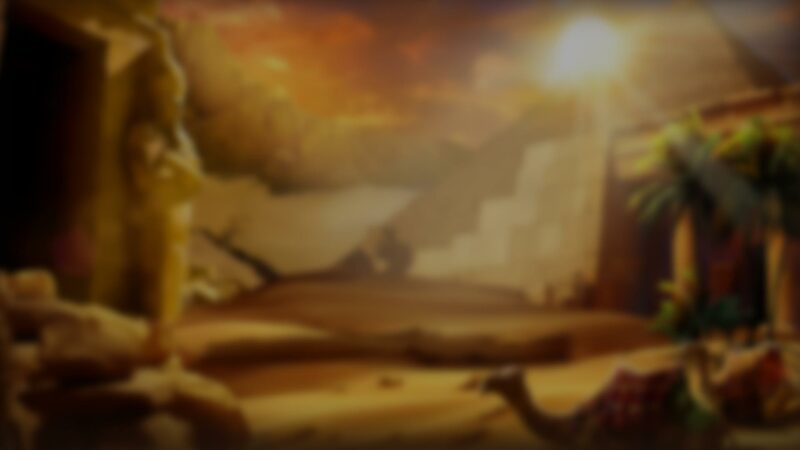 Cleo's Gold from Platipus Gaming has been set on a background of an Egyptian temple entrance. The casing of the reels is neat and has a relevant design for the theme at hand. The symbols on the reels are uncharacteristically brightly colored but do represent the standard Egyptian themed icons that come through on most Egyptian themed slots. Cleo's Gold works its magic on a Laptop, Tablet, Mobile Phone and MacBook with equal ease. Cleopatra leads the charge on 5 slots. Medium volatility and 20 pay lines will allow you to find regular winning combinations to find the hidden metal. On the reels, you will find Egyptian golds and symbols that represent the medium paying items including Cleopatra's head, a Scarab, Anubis, Lucky Eye, Crux Ansata and Bennu. The lower paying symbols are the standard card playing numbers 10 through to Ace. The Wild symbol is a logo with a Pyramid on it. The Wild can replace all symbols except the Scatter. The Scatter is the logo of Tutankhamun's head. Platipus offers a standard control panel with all their games that ensures smooth and efficient navigation to ensure a maximized gaming experience. I like to suggest to the player to click on the information bar which is 3 lines to the left of the panel. You will be able to get an excellent understanding of the different aspects of the game. 3 Scatters trigger the Bonus Game which is an interesting feature as you get to choose between quite a few options based on how you want to play your game. This gives the player some say in how their game will be played. 5 Free Spins with Sticky Wilds. If the Wild appears during the Free Spin Round, it will stick in place until the end of the round. The Sticky Wild turns any symbol behind it into a Wild, and this symbol can substitute any symbol except the Bonus symbol. If the Wild appears during the Free Spin Round, it will expand to fill the reel until the end of the round. The Expanding Wild turns any symbol behind it into a Wild, and this symbol can substitute any symbol except the Bonus symbol. During the Free Spin round, the Wild appears as stacked only and can replace any symbol except the Bonus symbol. I can honestly say that I recommend this game to all lovers of Egypt themed slots, but also those who like to take charge of their own game and enjoy a bit of good action on the reels.